We all experience stress in some way, shape or form in our everyday lives. However, if it starts to become too intense, it can start to take a toll on our health and well-being. The trick is to learn how to manage it effectively so that it doesn’t get out of control. Luckily, there are plenty of methods to help you do this. Here are 5 simple ways to relieve stress that could work for you. One of the best things that you can do to combat stress is to get moving! Regular exercise can help to lower stress and make you feel happier through the release of endorphins. Not to mention that working out can also improve your self-image, which can make you feel more confident. Exercise can even improve your sleep quality, so you can feel energized and ready to take on the world when you wake up! The best part is that you can establish a routine and type of workout that works for you like walking, jogging or lifting weights. Just a little bit of exercise can go a long way! Another one of the best ways to relieve stress is to keep a journal. One approach to journaling is to write down everything that’s stressing you out or all the things that you have to get done in bullet form. This will help you to unclutter your mind and reach your goals, one at a time. You can also journal about all of the things that you are grateful for. This is extremely effective because it will help you to focus on all the good in your life, and therefore help you to maintain a more positive mood. Music is a powerful stress reliever, and you can listen to it anywhere as long as you have a pair of headphones! Playing your favorite tunes and singing along on your daily commute to work can help you to enjoy that time to yourself instead of worry about what you have to do later. Slow paced instrumental music or nature sounds can also help to steady your heartbeat and lower stress levels. Listening to music that you enjoy, regardless of genre, is a great remedy as well. Increased heart rate and faster breathing are two things that occur when you’re stressed out. Deep breathing is an effective way to bring your body back to a state of calm. You can practice deep breathing for however long it takes you to feel more relaxed. However, it’s possible to achieve results within only 5 minutes! There are many deep breathing methods, but one of the simplest ones is to close your eyes, inhale deeply through your nose, and then exhale through your mouth. Now that you are familiar with some of the effective ways to relieve stress, we hope that you can feel more at ease in your everyday life. 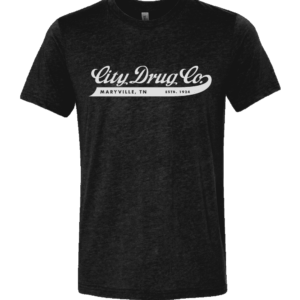 At Mac’s Pharmacy, we are dedicated to helping you to improve and maintain your well-being. Be sure to learn more about how we can assist you with all of your health care needs. 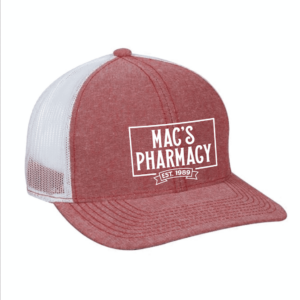 Mac’s Pharmacy is a locally owned and operated healthcare provider in Tennessee that serves each patient with personal, hometown customer service.